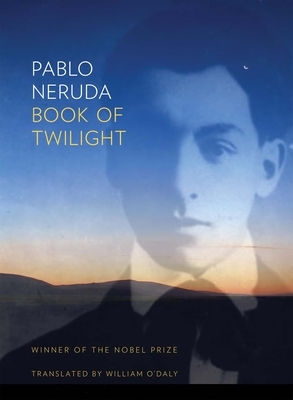 When Nobel Laureate Pablo Neruda was a teenager, he pawned a family heirloom to fund the publication of his first book, Book of Twilight, which--until now--has never been published in its entirety in the United States. Presenting the highly romantic style refined and empowered in his later books, Neruda's debut introduces a bold poet unafraid to take risks, push boundaries, and write towards an unapologetic romanticism. Everything we know about Neruda--all his gestures, hyperbole, and effusiveness--appears vividly and for the first time in these poems. William O'Daly's superb English translations are presented with the original Spanish en face. and goes tangling up on its way . . .
Pablo Neruda is one of the world's most beloved and bestselling poets. He won the Nobel Prize in 1971 and died in his native Chile in 1973.